It’s already time to start thinking about late summer/fall plots. In fact, preparing early is beneficial to the plot and the soil. 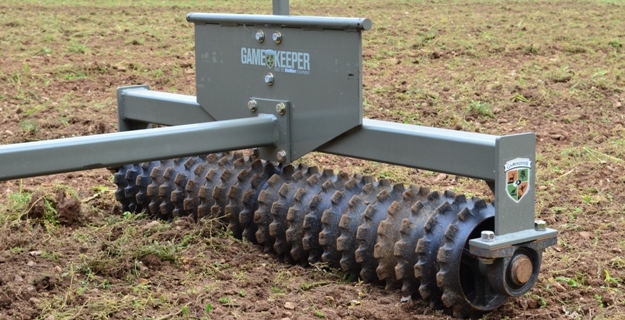 Every time you work the soil, moisture is lost and valuable microorganisms and nematodes are killed. Some believe that the best route is to work the soil well in advance of planting - typically 4 to 6 weeks before. And where normally one would burn-down all the existing vegetation with an herbicide before you work the soil, you can wait to apply herbicide until shortly before planting. The moist, green plant matter will break down in the soil much easier and faster than the dry, brown plant residue. Prepare your seedbed just like you would if you were going to plant it and then leave it. It’s OK, let your native seed-bank germinate and green-up. Then a few days to a week before your scheduled planting date hit the plot with your complete burn-down herbicide like RoundUp (glyphosate). 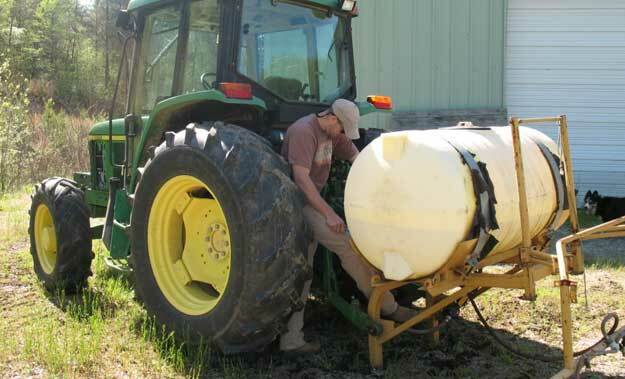 Then, plant without working the seedbed again. Going through the planting steps in this order and with this timing will keep unwanted weeds and grass to a minimum, it will give the valuable microorganisms that you killed when you turned the soil a chance to repopulate, it will help bank topsoil moisture and will save you time during the late summer or fall when there are other tasks to be done. If you apply your herbicide first, work the dried plant residue into the soil and then plant like many choose to do, we have tools like DELTAG’S SOIL SOLUTION to help break down the plant residue and repopulate the soil with those useful microorganisms. What Happened To My Beans?! 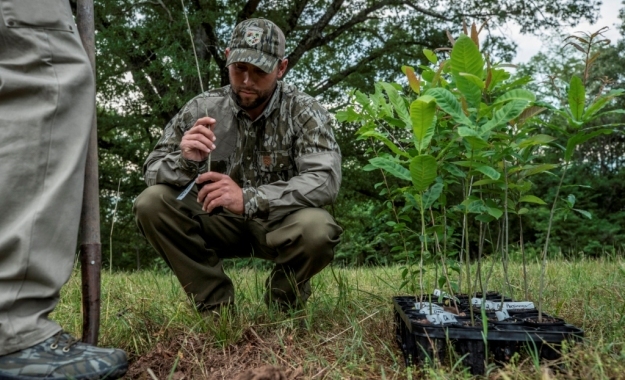 Over browsed young plants is probably the biggest problem encountered when planting food plots during the spring and summer. Peas, soybeans, LabLab, and other warm season legumes are highly attractive to deer and are often over browsed soon after germination. This usually occurs when there are a few too many mouths to feed or there is not enough acreage devoted to plots.